I would like to inquire about your property Bayut - 722-Ap-R-0060. Please contact me at your earliest convenience. The Greens is a residential community comprising of 36 low rise complex buildings. Each of them features four individual buildings clustered together to create an exclusive courtyard environment for the residents as well as offers an exceptional lifestyle along with elegant residential apartments ranging from one, two, and three bedroom units. Al Thayyal 4 is one of those buildings located within the aforementioned development. Each apartment is perfectly designed in order to meet up all high quality standards of luxury and comfort . As resident, you have an easy access to Sheikh Zayed Road and can only drive around 30 minutes to reach the Dubai International Airport. We are happy to offer you a beautiful lake view 2 bedroom apartment with spacious living room and balcony ,built in wardrobes and parking. Hesitate no more hurry up and give us a call ,grab this opportunity to make this as your dream home. or visit www. 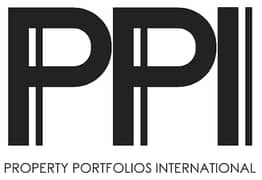 propertyportfolios. ae for further details.